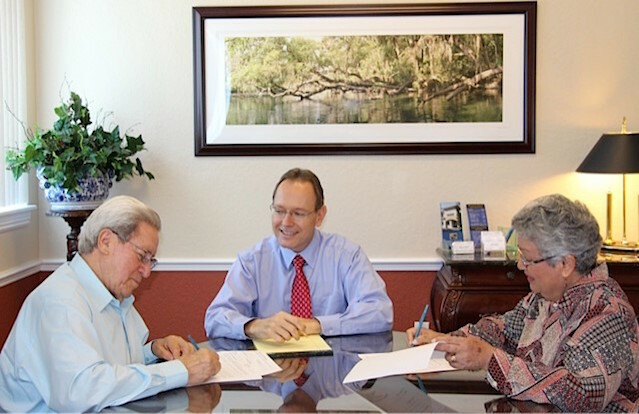 Estate Planning | Ormond Beach, FL Wills & Trusts Lawyer Randal L. Schecter, P.A. Contact Ormond Beach Estate Planning Lawyer Randal L. Schecter, P.A. Allows you to select a Personal Representative or executor who will be in charge of your Estate upon death. Provides for the orderly distribution of your assets and payment of creditors. Lets you make provisions for your loved ones. A Trust can be set up to provide for minors or pets. Acceptable method for distributing a person’s property to beneficiaries without going through Probate as long as all assets are placed into the Trust. The Trust agreement names a trustee who will administer the Trust. Our elder law firm provides services for administration and management of Trusts. Allows you to decide who is going to make your financial decisions when you are no longer able to. Can avoid having to set up a Guardianship. It expires upon death unless previously revoked in writing. Allows you to decide who is going to make your health care decisions when you are no longer able to. Should have HIPAA (privacy) language. It is different from a Health Care Surrogate or Health Care Proxy. Utilized if you are terminally ill, in an end-stage condition, or in a persistent vegetative state, and there is no medical probability of recovery. It should discuss food and water. It does not take effect in an emergency. Your attending physicians(s) must make the decision that you meet the criteria for implementing the Living Will. This is not the same as a do not resuscitate order (DNR) which is a physician’s order.